Looking to get Invisalign in Perth? We’re proud to offer Invisalign to our patients at Duncraig Dental Care in Perth. Invisalign straightens your teeth using a custom-made series of aligners created for you, and only you. The aligners are made of smooth, comfortable, virtually invisible plastic moulds that you wear over your teeth. They gradually and gently shift your teeth into perfect positioning. Say goodbye to metal brackets to hide and painful wires to tighten. You’ll just pop in a new set of aligners around every 1-2 weeks until your treatment is complete. You’ll achieve a brand new smile with no lost access to the full functionality of your teeth! We’ll take detailed pictures and impressions of your teeth, and use them to create a 3-D image. From these images, we’ll map out your very own treatment plan, and map out the exact movements of your teeth with each new set of aligners. Then comes the information you’ve been waiting for – how long it will take. 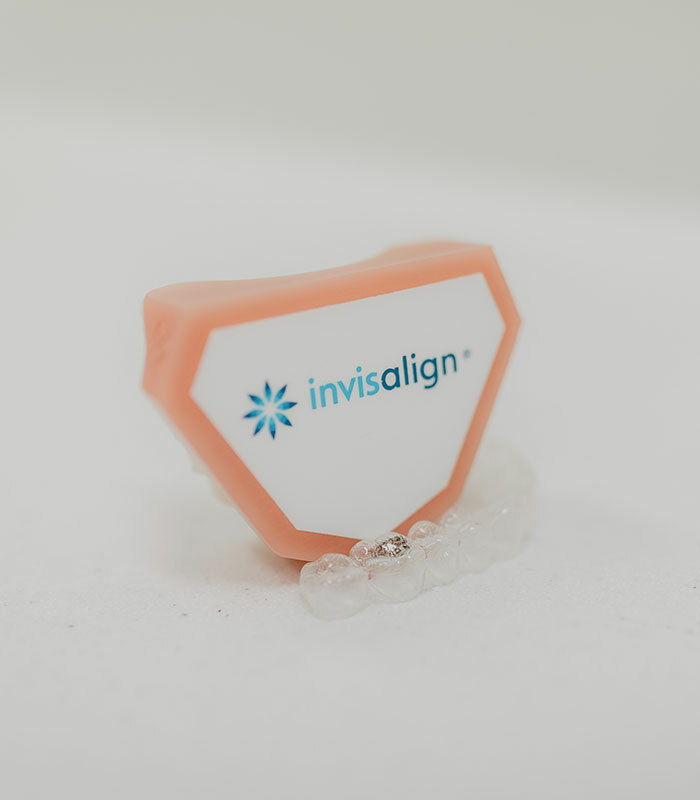 While every case is unique, Invisalign treatment usually takes approximately 12–18 months. Based on your treatment plan, we’ll make a series of custom-made, clear aligners just for you. They’re made of a plastic that won’t irritate your cheeks and gums like traditional metal braces often do. Just wear them throughout your day, and remove them whenever you eat or brush and floss your teeth. With each new set of aligners, your teeth will slowly shift into place. And because they’re pretty much invisible, most people won’t even notice you’re wearing them! You can straighten your teeth, and keep smiling while you do it. Around every 1-2 weeks, you’ll start wearing a new set of aligners – kicking off the next stage of your treatment! We’ll be helping you through the experience, monitoring your process with checkups every 4-6 weeks. If you want results and value for your investment, you need to wear your aligners for 20 to 22 hours per day. If you do, the smile in the mirror will keep creeping closer to reflecting the real you.